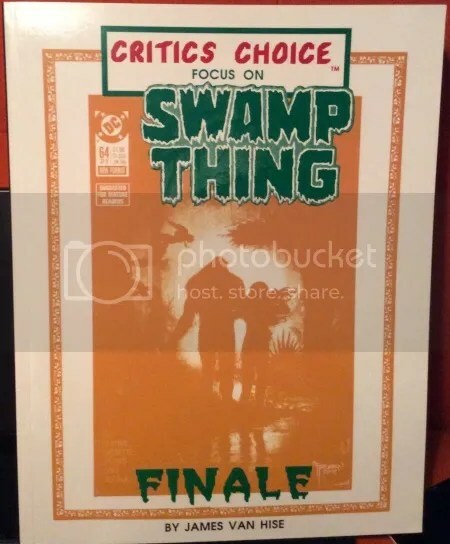 The third and final Swamp Thing focused book in the Critics Choice series features a whole bunch of Alan Moore content. 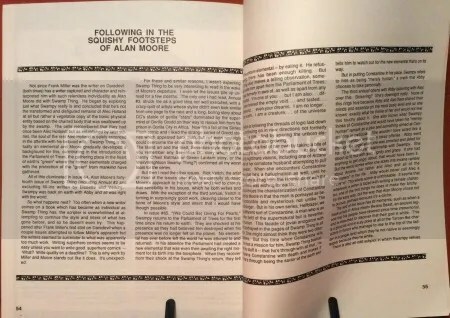 Although, the book may have more images than Moore content. 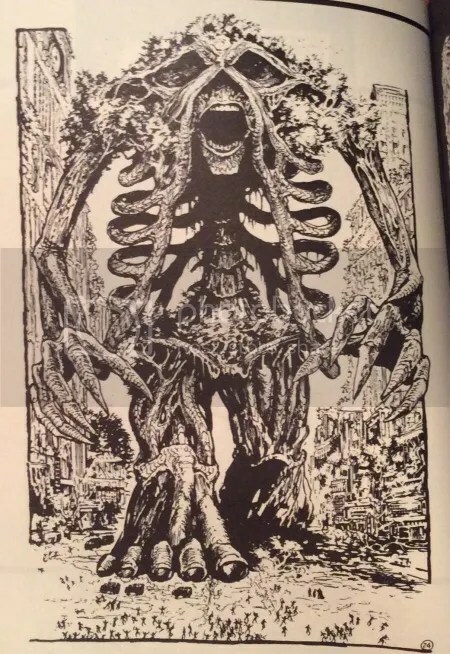 It’s loaded with reprinted material from his run as well as some of Wrightson’s work. Like the previous CC books, there are also a number of spelling errors. I love this illustration. 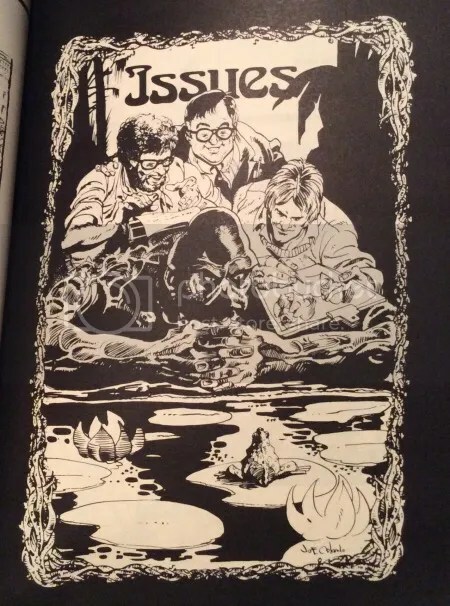 It really was an all hands on deck process while Wrightson and Wein were hammering out the beginning of the first series. 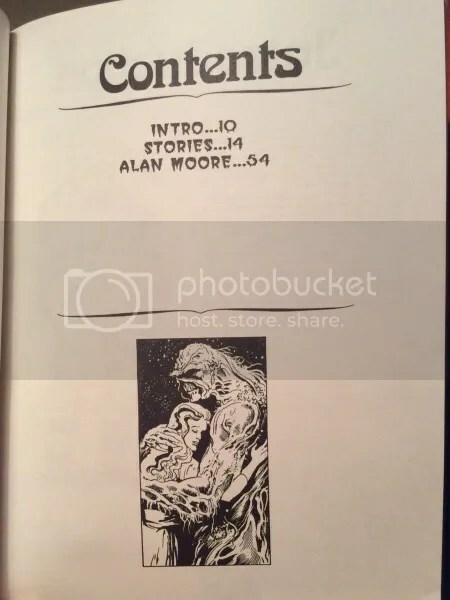 Hise writes an analysis of issues 51-64 of Moore’s second series run. 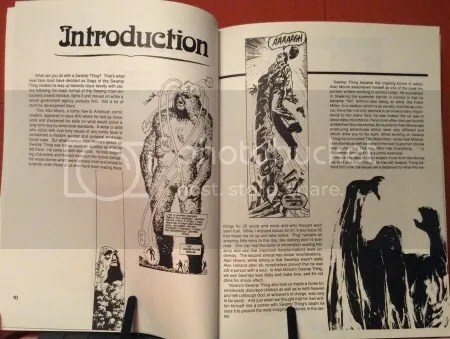 the b/w reprinted artwork below looks good but there are a number of instances where they tried using the colored images with a low level of contrast, making the images look very muddy and sometimes illegible. 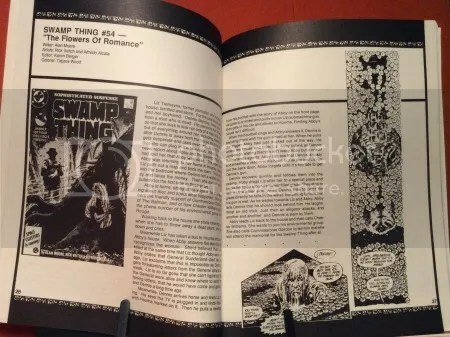 Hise is not a fan of Swamp Thing Annual #3. He basically unloads on it. 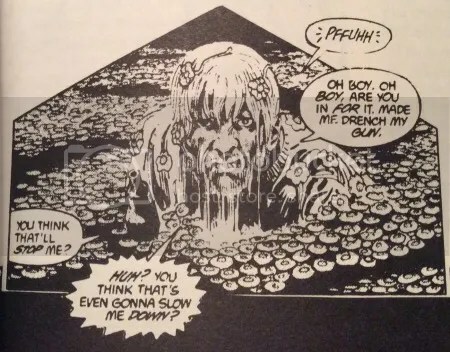 He warms up to Veitch though, quite quickly. Well said! 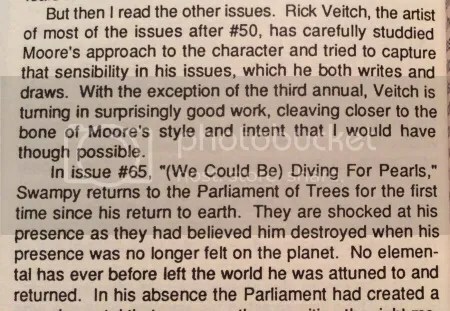 This was such a great moment as Swamp Thing reaffirmed his place amongst the Parliament. Hise makes an abrupt uturn to further explore his displeasure with annual #3. 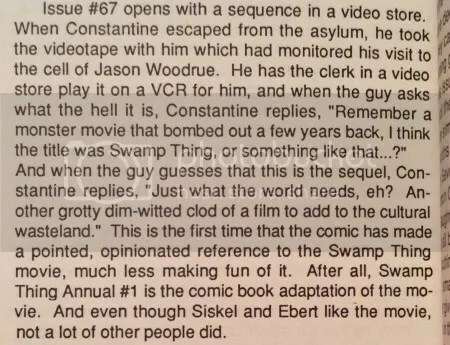 He really digs into what he thinks are continuity issues. I can’t say that the bickering bothered me all that much. 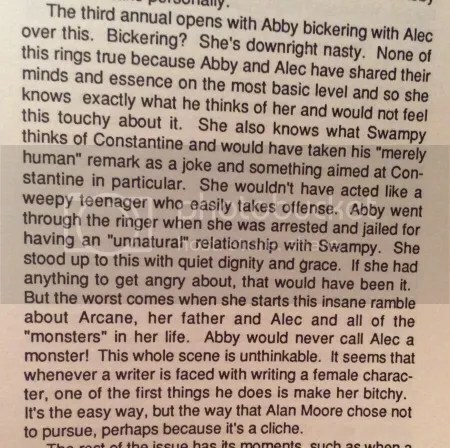 Abby/Swamp Thing may have shared their minds but that wouldn’t eliminate insecurities and the fact that Swamp Thing isn’t the greatest husband/father; torn between having a responsibility to his family and to the earth/Parliament. It’s a difficult job that he is constantly learning how to do. It wasn’t fair that Abby and Tefe were dragged into Swampy’s obligations and strife. A difficult life for all involved. 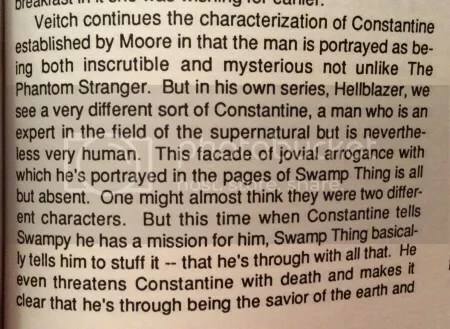 Constantine takes a jab at the Swamp Thing film. Another great moment, noted by Van Hise.